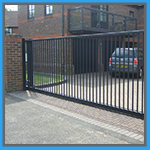 Our many services include gate installation and repair for both residential and commercial locations. 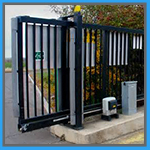 It doesn’t matter whether it’s a swing gate, security gate, sliding gate, automatic gate! We’re here to make sure that your gate is in good working order. Sometimes gate hinges can weaken, gates can go off their tracks, the opener stops working, and the sensors go on the blink, and when these thing happen, we’re here to help you! Don’t wait until something major happens. If you suspect that something isn’t working, we can come out to your home or business and provide a thorough gate inspection to make sure that everything is working, and if it isn’t, prescribe a course of corrective action. Call us to find out more! Sometimes your automatic gate doesn’t work properly, and when it doesn’t, it can be a headache for those who are trying enter or exit your location, especially if there are multiple cars trying to enter or exit at the same time! We’re here to make sure that your automatic gate works without any unnecessary chaos or drama. We’re also awesome when it comes to slide gate repars. If your gate goes off its tracks… if your opener ceases to function… if the hinges start to bend… we’re here to fix those issues and more. Slide gates are especially popular with apartment complexes so it’s important that all of the residents are able to enter and exit the garage, especially in case of emergency. 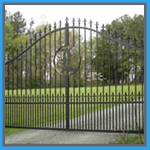 Swing gates provide a certain amount of class and elegance to any location, but they also present a unique set of challenges that should only be handled by trained technicians. The weight of the gates can cause the hinges to bend, and when installing the gates, it’s important that the gate swing freely so as not to cause damage or injury. We’re here to install a new gate or service your existing one. Call us now! 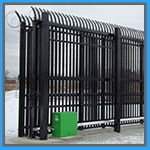 Security gates provide the maximum amount of security out of all the different types of gates due to its design from the bottom to the top. They do experience problems from time to time, and when they do, you can count us to be available to restore that safety and security only a security gate can bring. Call us for more information! Let’s just be honest. When your gate sensors go down, bad things can happen. The beams of light are crucial to let the opener know that it’s able to safely open and close to avoid things or people to be pinned between the gates, and that would be nothing less than catastrophic. 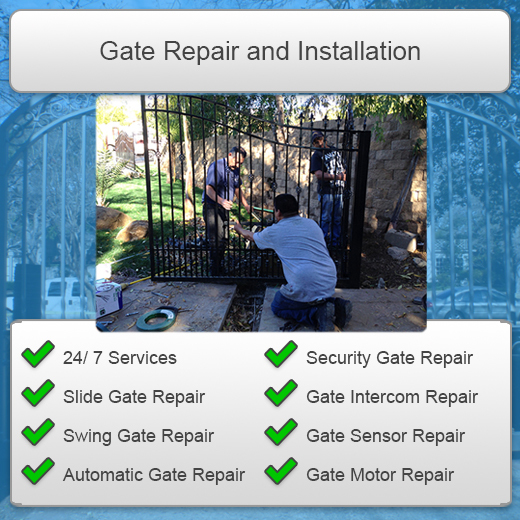 We’re available 24/7 to fix all of your gate sensor needs. Don’t wait for something bad to happen. Let our qualified technicians help you now! 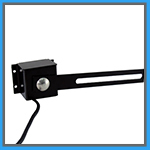 Automatic gate openers are designed to make your life easier, as well as the lives of those who enter or exit your home or business, and when the opener goes down, things can get a little dicey. We’re here to fix your automatic gate opener at any time, so that you will experience as little down time as possible. We’re here when you need us! Just give us a call! 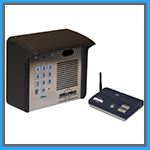 Last but certainly not least, we offer installation and repair for gate intercom systems. We know that it’s important for some people to closely monitor those entering and exiting the premises, and we’re here to fix any problems that might arise with that essential two-way communication. 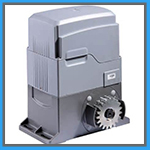 We can either repair any type of intercom component or replace it when necessary. If you are in the market for a new intercom system or need some assistance repairing our old system, call us right now, or whenever you need us!